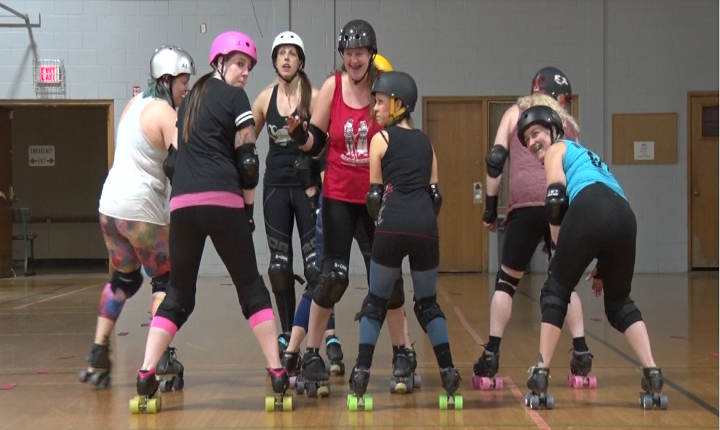 MARQUETTE — Whip it in to shape and just whip around the track with the Marquette Dead River Roller Derby team. The time is now to join one of the roughest, toughest, team of women in town. The Dead River Roller Derby Team is an inclusive group of women from many different backgrounds, and they’re all here for one reason, to skate. “Derby accepts all forms of people. We have the best women in the area, best supporting ladies that I wouldn’t have met if I didn’t have derby. They’re perfectly wonderful individuals, but our paths wouldn’t have crossed. We don’t go to the same church, go to the same grocery store, or stuff like that, so it changes it up a bit,” said Captain Glory Sparks. In the early months of winter the off–season for derby starts and throughout December these women are hosting free skate for anyone interested in learning more about skating and the derby. “Come skate with us! Yes, don’t be afraid and don’t be intimidated because everyone is very enthusiastic and weird but we’re also super welcoming,” exclaimed Namaslay, a new recruit. “No you do not have to be athletic abilities prior to derby. That is the cool thing we have a lot of different backgrounds. We have many people who have been in many sports in their lives, but also people who have never been in a sport ever and excelling very well in derby because it’s something that speaks to their heart,” added Sparks. “I am naturally probably the shyest person you know and these people brought me in and taken me in like I’m one of their people. It has been such a great opportunity for anybody even if you think derby is going to be all big, scary, athletic ladies, and it’s not, it’s not, we have vets, I’m a writer, we have college professors, and doctors, and stay–at–home moms so we have such a great melting pot of different personality types and backgrounds,” shared Namaslay. Spending time with this group might interest you in joining, but to join in on free skate there is no obligation to be on the team, just be over eighteen. “You know just come out and join us. If you are curious or you think you’re going to be a hot mess on skates, I still am, and that’s OK and you can come and join me and be a hot mess and we can be peoples. It is such a welcoming and all inclusive environment and such a great way to try it out if you’re curious, ” voiced Namaslay. All levels of skaters are encouraged and if you are interested call ahead and ask to reserve some skates. Free skates are on Thursdays starting at six PM at the Baraga Gym in Marquette. 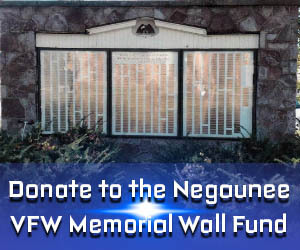 For more information follow the team on Facebook and send them a message.